All rights reserved. This article originally appeared in Let's Live magazine. The dearth of research on nutritional sulfur is puzzling. 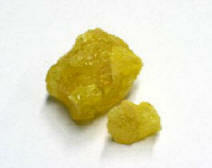 Because it is an element, the body cannot make it and, instead, must obtain sulfur from food. "Here is an essential nutrient that no one sees as being that," says Ronald M. Lawrence, M.D., Ph.D., coauthor of The Miracle of MSM: The Natural Solution for Pain (G.P. Putnam's Sons, 1999). "We don't learn anything about sulfur in medical school. Sulfur has been the most understudied and overlooked nutrient." Sulfur is found in every living cell. It's part of the molecules that form the amino acids (protein building blocks) methionine, cysteine, and taurine, which are essential for health. It's a constituent of vitamin B1 and biotin, the antioxidant glutathione, the anticoagulant heparin, and coenzyme A, which drives energy production in cells. Sulfur is an integral part of the biological cement that forms skin, hair, nails, and the cartilage that shapes your nose and pads your joints. Yet, says Lawrence, there is no officially recognized "sulfur-deficiency syndrome." That's a problem other nutrients, such as vitamin E and selenium, had to suffer with for years-before they were recognized as essential for health, he adds. The medicinal use of sulfur goes back thousands of years to the Trojan Wars, when wounded solders healed in the sulfur Baths of Agamemnon. Sulfur baths are still popular for treating joint and other diseases around the world. Similarly, sulfur-rich garlic has been used for several millennia to prevent and treat diseases. It contains powerful antibacterial substances, which may explain the garlic's extensive use as a folk medicine.